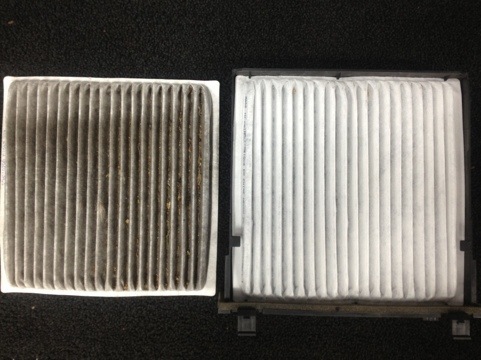 Change your Cabin Air Filter Please! Most people do not pay attention to this, but look at what you or your child is breathing. This Cabin Air Filter we just took out of a vehicle with only 30,000 miles on it. We will look at this for FREE, and show you how it looks. It is up to you if you choose to replace it or not, but we recommend it.